Sleeping habits very much influences one’s health. It sounds like a small problem, but consequences from lack of sleeping can slowly decrease stamina of the body. Furthermore, body is getting weak and get sick easily. Experts said that in sleeping, quality is better than quantity. These are some bad sleeping habits that may affect the quality of sleep. Did you know that sleeping all curled up is not good for your back? It’s not good for your spine and could result in back pain. The best way to fall asleep is on your back, flat out, with maybe a pillow under your knees to flex your lower back. Sleeping face down can wake you up in just a little while because of the distrupted nocturnal breathing that this can result in. You will not be able to breathe properly when sleeping face down and this will wake you up. 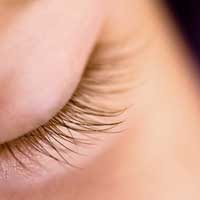 Apart from producing dark circles around your eyes, eye make up can irritate your eyes while you sleep. Besides having make up on for long periods of time can produce dermatitis. So before you hit the hay, even if you are bone tired, take a coupleof minutes to completely remove all traces of make up from your face and neck. With the air conditioner on full blast and you feeling absolutely cold, you could curl up in a bad posture while sleeping. And this is bad for your spine. So sleep in a comfortable temperature, and set the timer on in your air conditioner before it gets too cold for you. Deep sleep can come only when you are sleeping in total darkness. So it might be a good idea to stop being afraid of the boogie man lurking in the shadows and sleep well. But if you are used to sleeping with the light on, gradually dim it, or your sleep can get completely disrupted! We all love to sleep and given the chance we will sleep a lot longer than we need to. And this can leave you feeling groggy and tired and not at your best. So, get just your requried number of hours of sleep and wake up bright and alert to face the challenges of a new day. Caffeine is a stimulant and should be stopped four to six hours before bedtime. Caffeine is in coffee, soda, iced tea, chocolate, and various over-the-counter medications. Remember, caffeine builds up throughout the day, so two cups of coffee at dinner and some chocolate ice cream can be close to 500 milligrams of caffeine, a large dose. It is also a little-known fact that caffeine can stay in the system for up to 12 hours. So try not to have any past lunchtime and have decaffeinated coffee after dinner. One note of caution: Be careful if you are a big caffeine person and you cut yourself off too quickly, because you will get headaches, which of course will keep you awake. I realy like this article and it's an helpful article. All Natural Cure For Stopping Acne In 3 Days! "Chronic Acne Sufferer Finds A Scientifically Proven Way To Permanently Clear Skin In Just Three Days, And Finally Reveals The Unbelievably Easy, Step-By-Step Actions You Could Already Be Taking To Look Better, Feel Better, And Have A Renewed Sense of Self-Esteem!" Yes, You Have The Amazing Ability To Change The Way You Look And Feel About Yourself...Right Now!